Thank you for taking the time to read about our campaign. My name is Abby and I am creating this fundraiser for my sweet nephew Jackson, my sister, Ashly, and her husband, Chris. Right before Christmas they received devastating news. 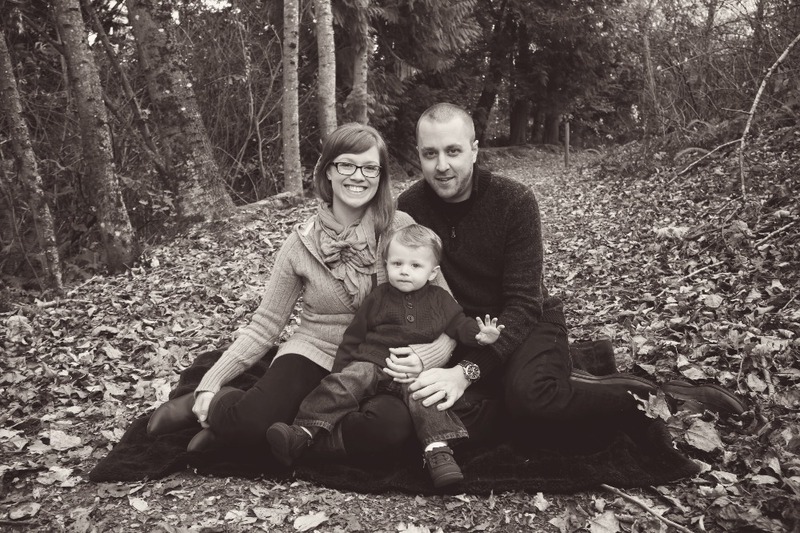 Their son Jackson was diagnosed with high-risk, Stage 4 Neuroblastoma. Jackson is just 2 years old. Neuroblastoma is a cancer that starts in immature nerve cells in the nervous system. These cells are called neuroblasts. Sometimes neuroblasts change and no longer grow normally. In some cases, changes to neuroblasts can cause neuroblastoma. It can develop anywhere in the sympathetic nervous system, but it starts most often in the adrenal glands, neck, chest or spinal cord. 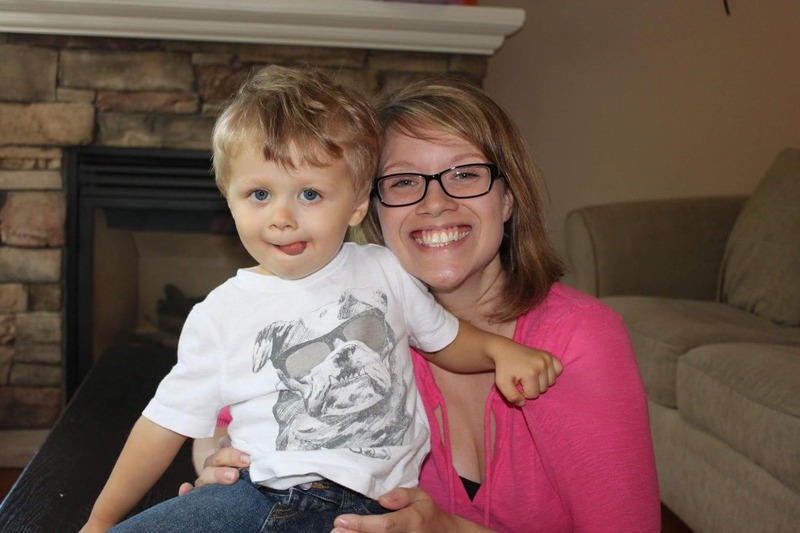 In Canada, about 70 children are diagnosed with Neuroblastoma each year. Neuroblastoma is an uncommon, difficult to treat cancer, and is the most common cancer in infancy. 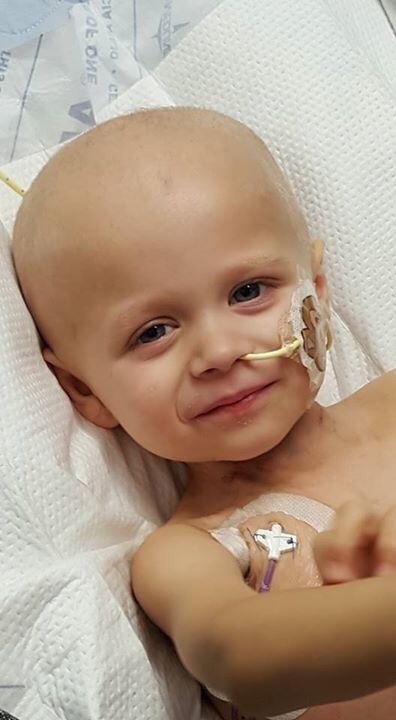 Jackson's Neuroblastoma is located throughout his body. He has a softball sized mass in his abdomen from his adrenal gland that is squashing his kidney and lung. He has a smaller mass in his neck, and malignancies were found in his bones throughout his body. Jackson is a beautiful little boy. He loves to smile and has a cheesy grin that fills our hearts with so much joy. He loves his Mommy and Daddy so much and they are a wonderful little family. Jackson loves Elmo, Thomas the Train, reading books, playing with vacuums and mops, and playing his guitar. 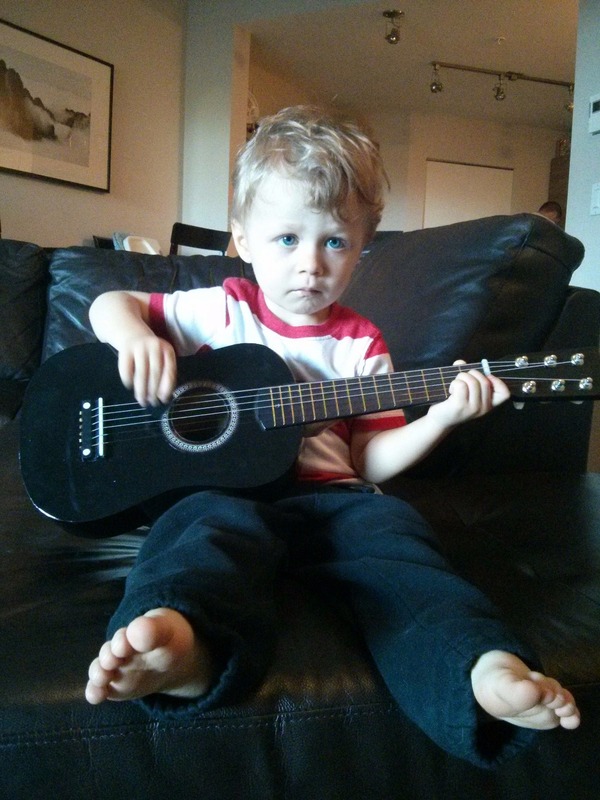 Jackson loves to strum alongside his Mommy while she sings him songs. Jackson loves his Bulldog brother, Maximus, and together they have had many great adventures. Jackson has a long battle in front of him. His treatments will be very difficult and will include several rounds of chemotherapy, radiation, surgery, and two rounds of stem cell therapy. He does not have the aggressive form of the disease, so his prognosis through treatment is more positive. 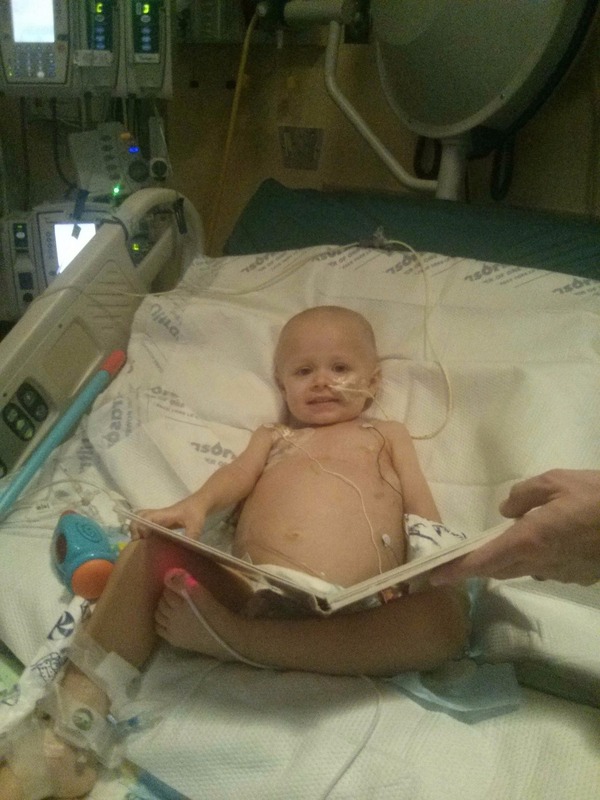 He is currently at Vancouver Children's Hospital receiving amazing care from the oncology team and nursing staff. Hopefully soon, he will get the chance to go home and receive outpatient care but his treatment protocol will last for many years to come. 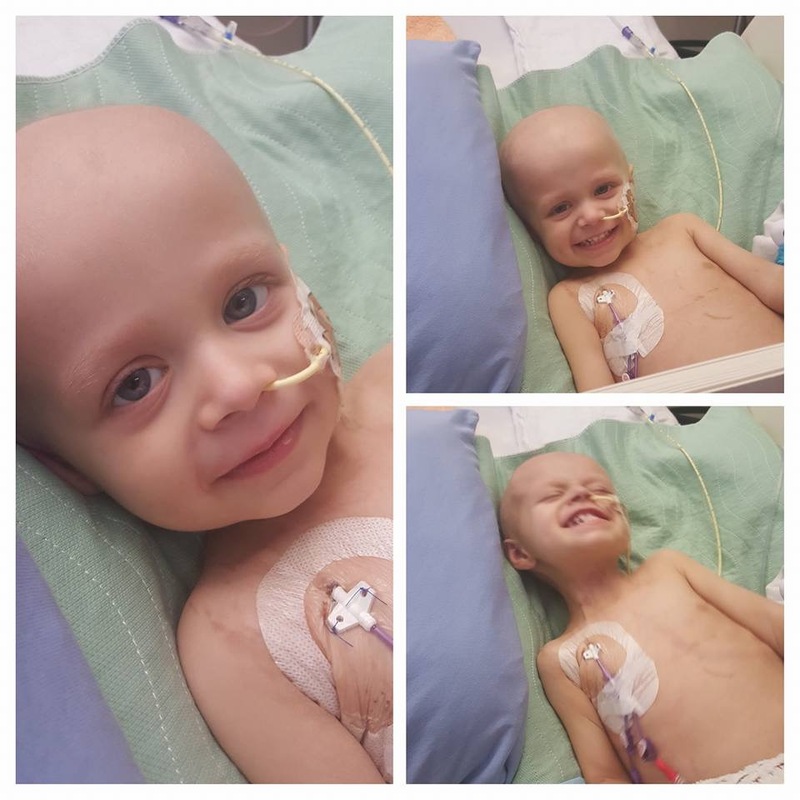 Jackson is currently fighting his way through his second round of chemotherapy. This is where you can help! I am requesting financial help on their behalf. Ashly and Chris find it very difficult to ask for help and I would like to give them one less thing to worry about as they maneuver their way through Jackson's treatment. My sister is a stay at home mom and her husband owns his own business. Finances are tight and they do not have the security of extended health insurance coverage. Ashly and Chris are facing many out of pocket expenses and they are quickly adding up. When Jackson gets to come home, they will require home care equipment, medical feeding supplies, a specialized bed and stroller and travel expenses. If you are in the position to do so, I would greatly appreciate your help. Even if it is positive well wishes and prayers that you are able to share! I know Ashly, Chris and little Jackson would really appreciate your support and positivity too. For those of you who do not wish to donate through Go Fund Me, an account is being set up for the family. Details will follow shortly. Thank you so much for the continuous support. We are so thankful for each of your donations and are sending big, tight hugs to each of you! Today is a big day for Jackson. It is stem cell harvest day! This afternoon Jack's stem cells were taken and will be frozen and stored for a later date. He will do 3 more rounds of induction chemotherapy, followed by surgery, radiation, high-dose chemotherapy and immunotherapy. Then it will be time for his stem cells to be transplanted back into his body. The goal of transplantation is to destroy any cancer cells within the marrow, blood, and parts of the body and allow replacement blood stem cells to create healthy bone marrow. See you later, Jack's stem cells. See you on the flipside! My goodness! My heart is full! I am amazed by the outpouring of love! Thank you to everyone for contributing and sharing our story. Ashly sat and cried happy tears as she read your messages and went through the donations with Chris. They are both so grateful! We are so humbled by all of the help that we are receiving from friends, family, and even strangers. Thank you for the help of relieving them of some of their financial stress and allowing them to focus on what truly matters. From the bottoms of our hearts, thank you. Proud of you both for being such wonderful advocates for Jack. I wish all the best to your little guy. Currently fighting cancer, I know what he is going through and it brakes my heart. Be strong little guy and keep that beautiful smile of yours on your face. Praying for health for your boy and strength for your family.